The December 2018 box theme was "Reverse Harem". 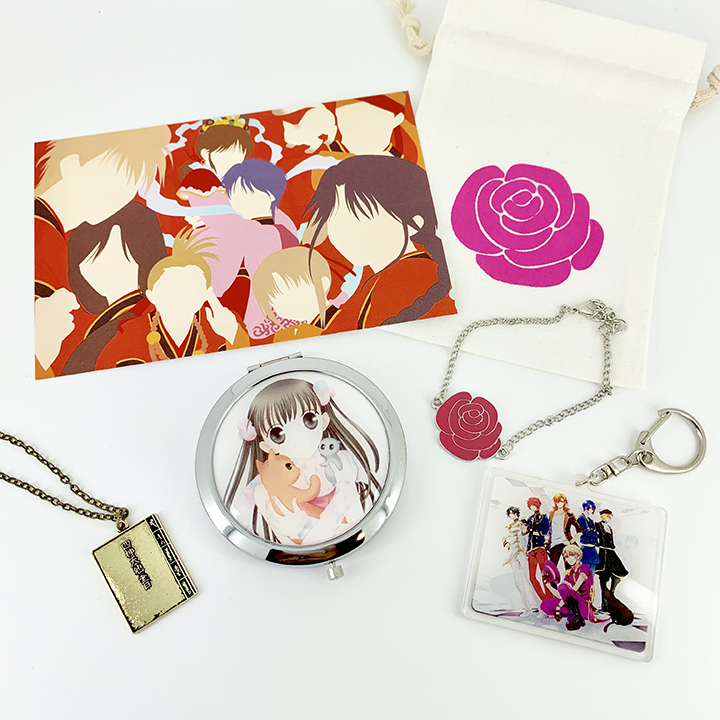 Inside you will find the following items: Fruits Basket custom compact mirror, Fushigi Yuugi Pendant Necklace Ouran High School Host Club bracelet, and Uta no Prince Sama acrylic key charm. Also included is an exclusive postcard print and cotton canvas jewelry pouch. If you missed this box, now is your chance to grab it!